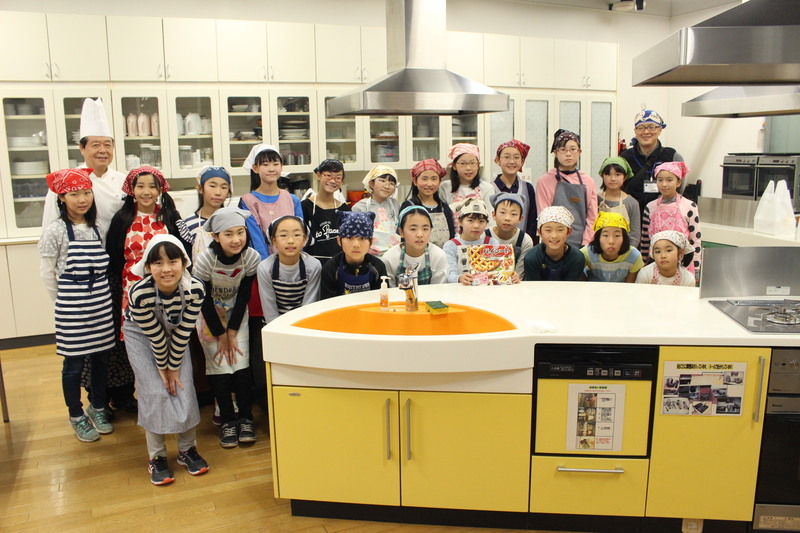 During the second half of the two-workshop program, the children used their original fève creations to make galettes des rois. First they learned about the history of the galette des rois and the patterns cut into the surface. The patterns include the sun and wheat, and each carries its own meaning of wishing for good fortune and a bountiful crop. 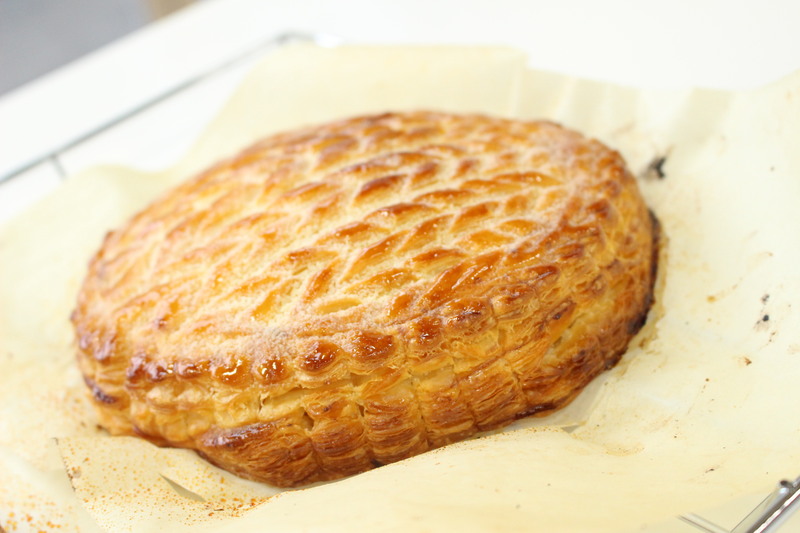 Apparently, the galette des rois is a particularly difficult to make western-style dessert. 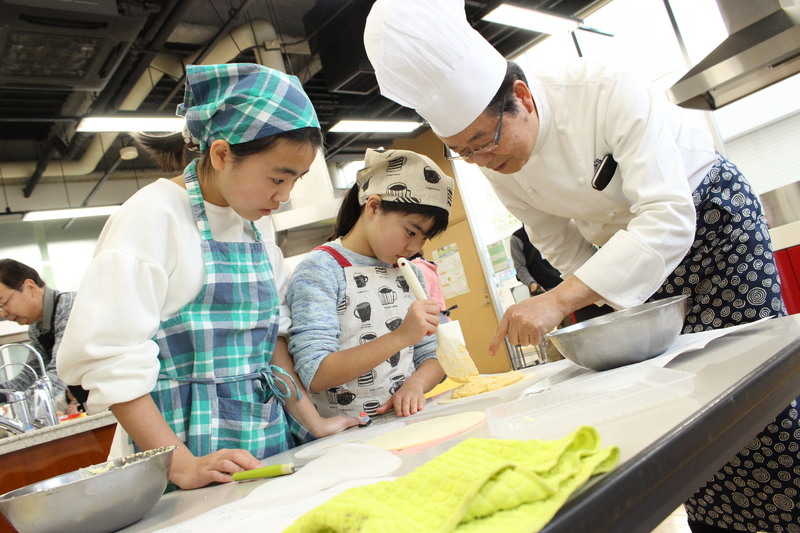 First, the children watched Mr. Matsuzaka’s demonstration and learned the steps for making the galette. They also learned various tips for making an excellent galette, such as not overmixing the cream and making clean cuts with a kitchen knife. The children watched and listened intently so as not to miss any of the instructor’s precise movements or detailed explanations. Finally, it was time for them to make their galettes des rois. 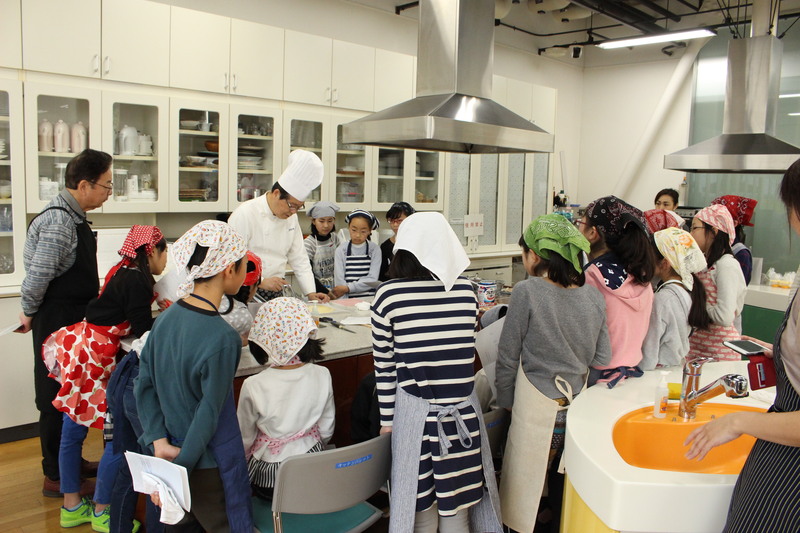 Recalling the instructor’s demonstration, the children proactively called to the instructor or assistants if they needed an implement or ingredient. They also checked with their fellow bakers to ensure that they were following the recipe correctly. Mr. Matsuzaka watched all of this warmly and gave succinct advice for the most important points. The children took the fèves they had created in the first half, enclosed them in the pie, and put the pie in the oven. 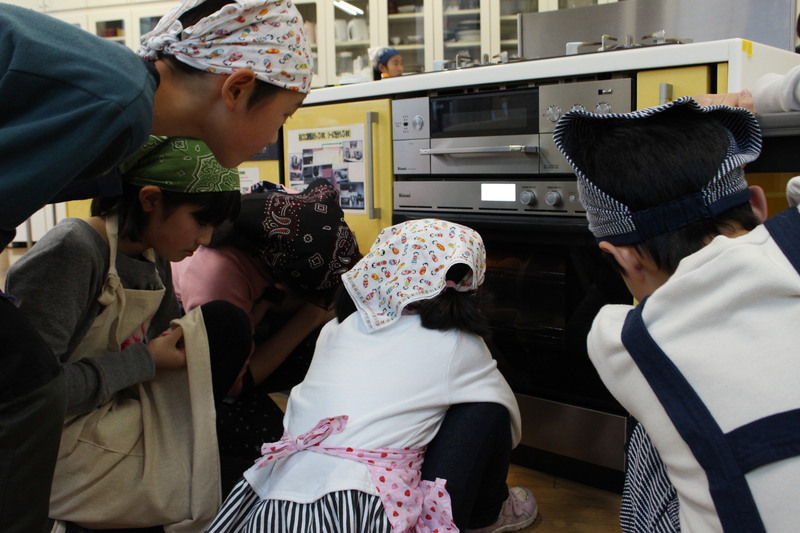 As the wonderful smell of baking wafted throughout the venue, the children peeked into the oven restlessly. When the fully baked, golden-brown galettes des rois came out of the oven, they all broke into beaming smiles.